This user guide contains different guidelines to help you becoming familiar with « Salary Net / Gross » application and knowing to use it. 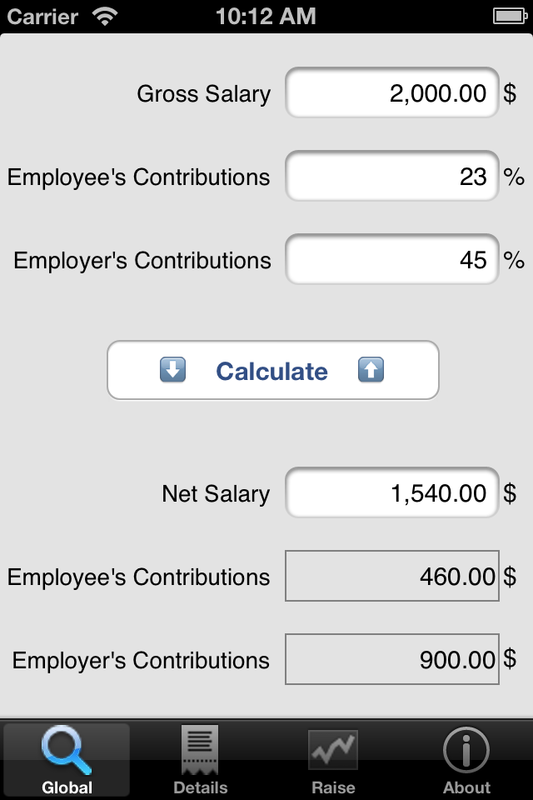 In this guide, you will see how to convert a gross salary into a net salary, and vice versa. Choose if you are a executive or non-executive worker and your gross salary. Then click on « Calculate » button. The reverse operation works the same way, from your net pay.